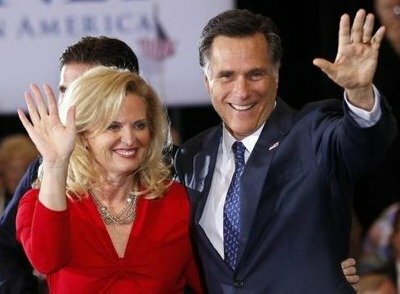 Happy birthday, Ann Romney! Cook-out in the back yard? It’s not like presidential hopeful Mitt Romney can’t afford or doesn’t have access to pretty much any venue he wants. That’s why it’s totally perplexing he would choose a man involved in the torture and killing of a stray dog to host his wife’s birthday party. Was Jerry Sandusky’s house already booked? The statute of limitations on the crime has long expired for the now white-haired Malek. In 2006, when he was questioned directly about the incident, he claims he was just “there,” not actually participating in the bludgeoning. Even if that were true, what kind of man — no matter how long ago it occurred — just sort of shrugs that off? No “I feel horrible about the suffering that dog endured” or “I wish I’d done something to try to stop it.” Just a lukewarm wasn’t me. You know. Meh. Fred Malek was arrested for his involvement with the beating and killing of a stray dog. Granted, Romney himself had no part in this instance of cruelty towards an innocent dog. But in politics, it’s a big deal who you hang out with. Candidates go to great lengths to distance themselves from those who might stir up genuine — or even manufactured — controversy. That it didn’t occur to him that (especially in light of his history with companion animals) Malek might not be a smart choice for this soiree invites suspicion of larger judgment deficits. And what about his PR team? Not one of his advisors pulled him aside and said, “Listen, Mitt. You need every vote you can get. Maybe a dinner party at the home of a dog barbequer isn’t a great call. Just sayin’…” Romney’s done everything he can to downplay the trauma his own dog, Seamus, endured when he was crated on top of the car for a 12-hour road trip. Does he really want voters reminded of his blatant lack of compassion when it comes to canines? This isn’t about Democrats or Republicans or conservatives or liberals. I’ve been vocal about my disappointment with President Obama’s animal welfare record as well. And in this particular instance, it’s not even solely about the treatment of dogs. It’s a question, on so many levels, of just how severely this guy doesn’t get it. But I digress. 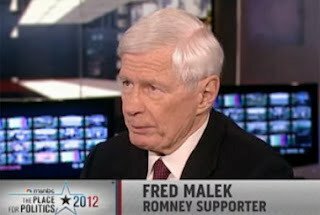 For those interested in celebrating: Tickets for Ann Romney’s birthday party this evening at the home of Fred Malek are $1000 apiece. The menu for the affair has not yet been announced.